Don’t let your Kent wedding be forgotten or forgettable! 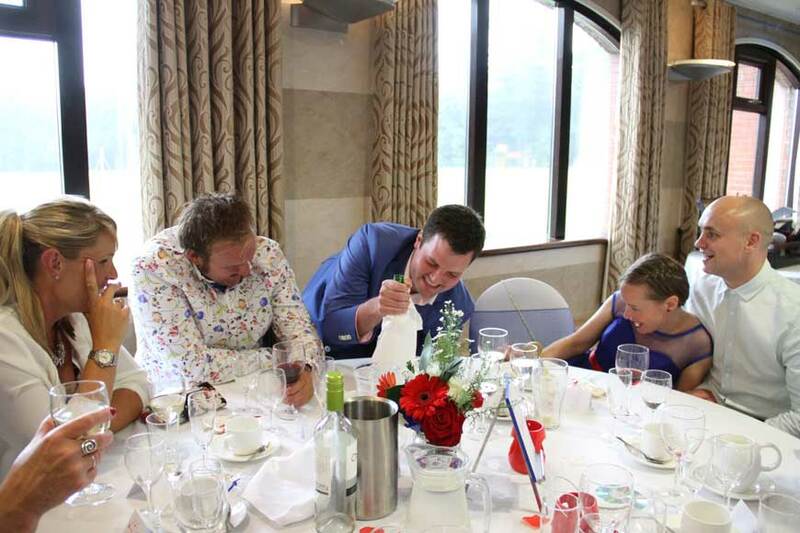 Many clients openly admit that until we spoke, they had never considered magic as as form of wedding entertainment Kent and always follow up after the event to say that my magic is one of the MAIN THINGS people are still talking about long after the day is over! 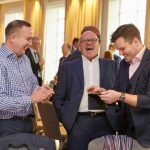 Blending seamlessly in among the guests you will hear the reactions all afternoon and absolutely love watching your guests react to not only the magic, but also the humour and entertainment that is part of it. Do you remember weddings you have been to where you stood around feeling awkward? Weddings where you sat making small talk with people you don’t really know? I imagine the answer is probably a resounding YES but don’t worry – we have all been there and it is likely that is was not THE WEDDING ITSELF that made you feel that way, but just the fact you did not really know anyone and there was no means of breaking the ice to get you chatting to the other guests. 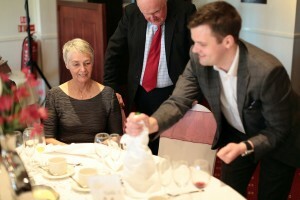 Magic used as wedding entertainment Kent will help solve this problem let me explain.. The role of the magician at your wedding is not just to wander about performing tricks, yes that it important, but even more important is the ability to carefully analyse the crowd constantly and create moments that involve groups of people currently not interacting, then using the magic to create a common point of unity so that when the tricks are over and the magician moves on, they are already comfortable within each others company and have a common point of focus to continue natural conversation from. There are a whole bunch of magicians out there but what I have just told you is the big secret that only the very top professionals both understand and use. This is what makes the difference between people just seeing a magician at a wedding and then forgetting about it, compared with people that RAVE about the magician all day and for many years to come. It is because by understanding the key to making groups interact is what MAKES PEOPLE FEEL COMFORTABLE and consequently relax in the magician’s presence and the company of the other guests. Throw in some mind-blowing moments of magic and the recipe is set for success. 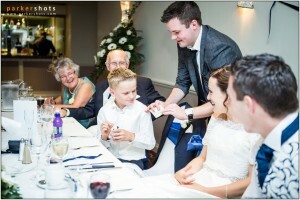 Magic used as wedding entertainment Kent will help to improve your big day.